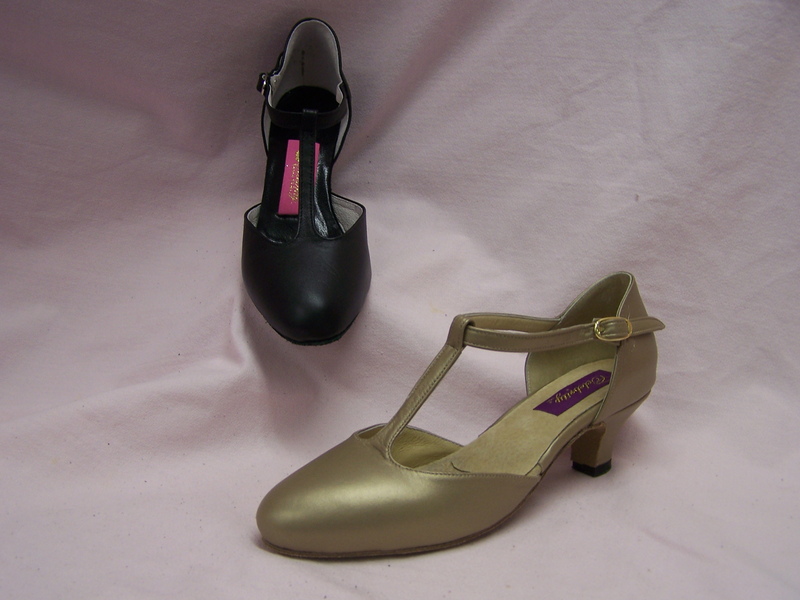 The Linda has a T-strap and secures on the foot with snaps. Fitting is generally the same size as your street shoe. It is available in Black Glove Leather in American sizes 3-12 X-Narrow, Narrow, Medium, or Wide Widths and the heel heights shown below. To order call 810-238-7400 or email us.